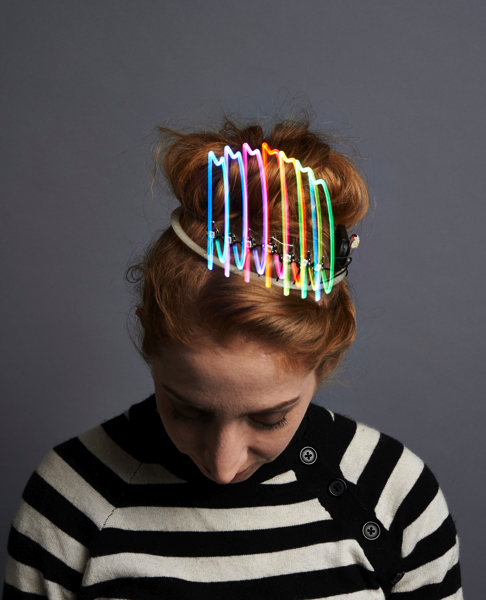 NeoPixel Tiara for Birthday or Prom #WearableWednesday « Adafruit Industries – Makers, hackers, artists, designers and engineers! You can make a crown of light for prom or your birthday this year! A few free-wired NeoPixels make you the cyber-pageant queen. Glamour shots by Andrew Tingle. Every Wednesday is Wearable Wednesday here at Adafruit! We’re bringing you the blinkiest, most fashionable, innovative, and useful wearables from around the web and in our own original projects featuring our wearable Arduino-compatible platform, FLORA. Be sure to post up your wearables projects in the forums or send us a link and you might be featured here on Wearable Wednesday!